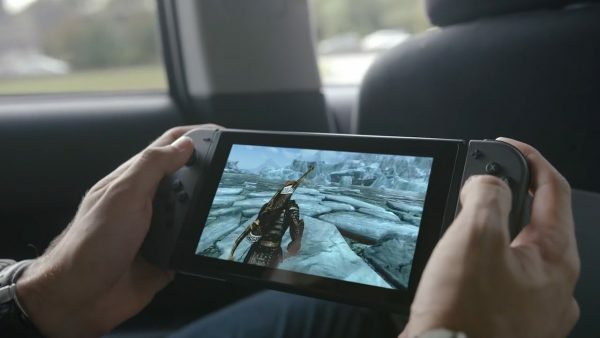 Is the Nintendo Switch Too Reliant on Ports? Owning a Nintendo Switch after having previously purchased a Wii U sometimes leaves you feeling like Nintendo’s middle child. The older brother that returns home gets all the love because of the stories of their returning adventures. The younger brother gets all the care and attention. You’re just kind of the person that’s always been there. The most obvious reason behind this feeling is the unusual influx of Wii U ports the Nintendo Switch has enjoyed thus far. As a Wii U owner, it’s almost impossible to blame Nintendo for the love they’re showing old Wii U games. After all, the Wii U failed for many, many reasons that have nothing to do with the quality of Wii U games. Actually, there was a year or two there where you could argue the Wii U enjoyed the best exclusive releases. Of course, since so few people actually bought a Wii U, Nintendo is more than happy to mine that console for ports. Those gamers that didn’t purchase a Wii U – smart move – get to enjoy titles like Mario Kart 8, Bayonetta 2, and the upcoming Donkey Kong Country: Tropical Freeze in their greatest forms yet. If you owned a Wii U, though, the sight of these games making a comeback is somewhat bittersweet. There’s always that internal debate you must have regarding whether or not you really want to spend $60 again on a game you’re realistically not going to be playing on your Wii U anytime soon. The temptation is always strong because you recognize it’s an opportunity to play these great games in likely their best form. However, the Switch’s possible port problem goes well-beyond the feelings and finances of beleaguered Wii U owners. As it stands, many of the Switch’s best titles were originally released elsewhere. Darkest Dungeon, Thumper, Stardew Valley, L.A. Noire, Owlboy, Rocket League…it goes on. Now unlike many of the Wii U ports, these games were released some time ago on platforms people actually own. There’s a very good chance you have purchased them on some platform if you had any desire to do so. The appearance of these games on the Switch is a bit frustrating because it is tempting to buy them again for the simple ability to take them anywhere. This is especially true of titles like Stardew Valley and Darkest Dungeon which feel tailored for a mobile platform. Normally, this influx of so many desirable third-party titles is a problem that owners of Nintendo consoles could only dream of. In this case, though, it’s a problem made all the more genuinely problematic due to the issue of the Switch being so slow to receive ports of these titles. Even if you know that game is going to be ported to Switch – like Wolfenstein II – developers have gotten into a bad habit of not actually saying when they’ll be ported. Other developers just vaguely mention their desire to bring their games to the Switch without ever actually doing so. All of this combines to create a kind of Stockholm syndrome for Switch owners. You’re a prisoner to your desire to buy games for the Switch that are available elsewhere even if you’ve already played them or will have to wait for the chance to do so. As it concerns the matter of new or recently released ports, something has to give. Developers need to be prepared to release day one Switch ports. Those that wish to port existing games to Switch need to have the ability to at least do so at some kind of lower price or release them with enough new features to justify purchasing them again. So far as Nintendo is concerned…well, maybe it’s time to consider your poor middle child Wii U fans and find some way to offer these ports at a price that doesn’t feel quite so painful.